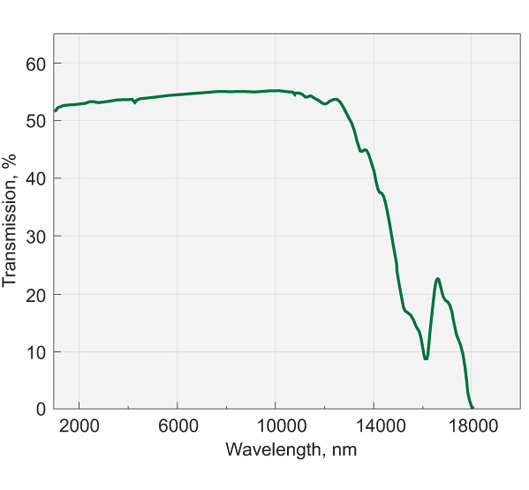 Due to their unique features, optical nonlinear IR crystals like ZnGeP2, AgGaSe2, AgGaS2, GaSe have gained tremendous interest for the middle and deep infrared applications. 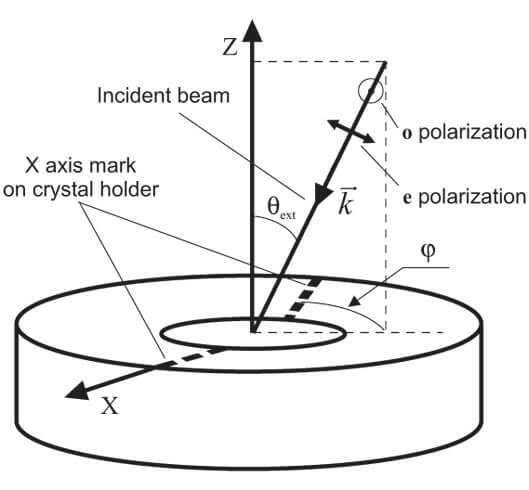 The IR crystals have large effective optical nonlinearity. All AgGaS2 crystals are provided mounted into 25.4 mm diameter ring holder. GaSe crystals are provided mounted into 25.4 mm diameter ring holder. 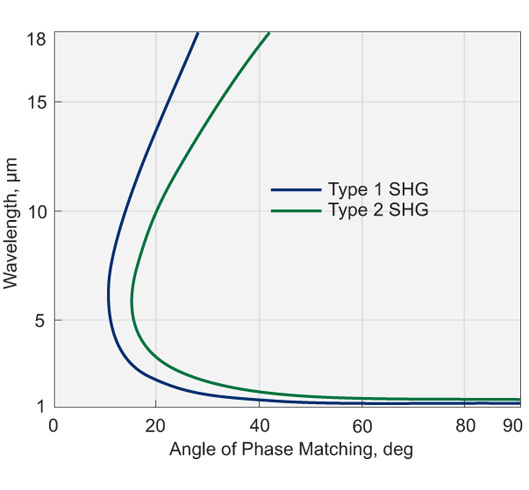 Due to their unique features, optical nonlinear IR crystals like ZnGeP2 (ZGP), AgGaSe2, AgGaS2 (AGS), GaSe have gained tremendous interest for the middle and deep infrared applications. 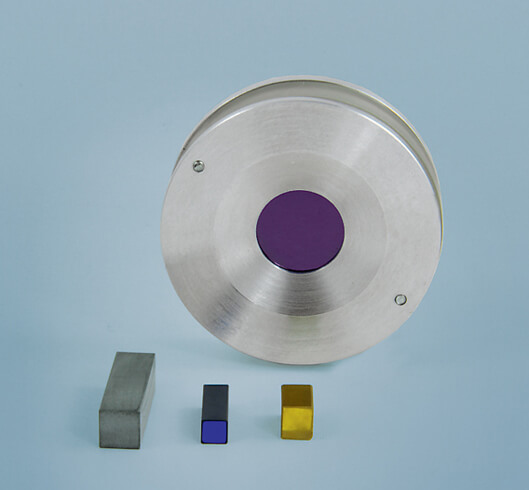 The IR crystals have large effective optical nonlinearity, wide spectral and angular acceptance, broad transparency range, non-critical requirements for temperature stabilization and vibration control, and are easy to mechanically process (except for GaSe). 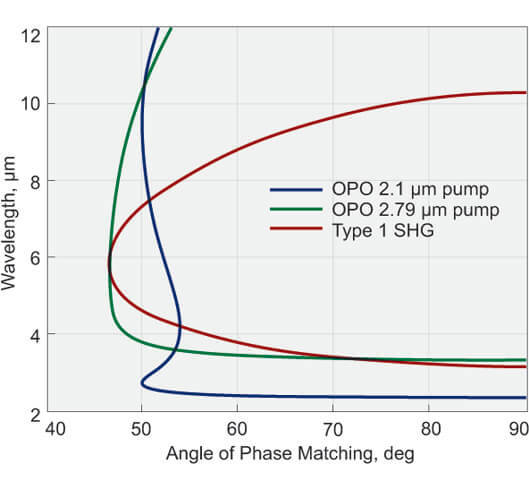 • efficient down conversion of Holmium, Thulium and Erbium laser wavelengths to mid infrared wavelength ranges by OPO process. 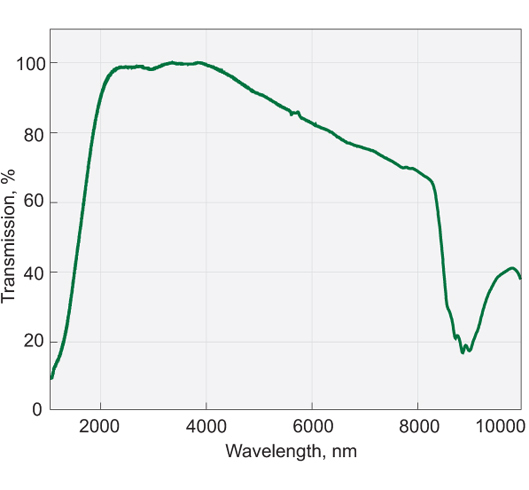 We offer ZGP crystals with high damage threshold BBAR coatings and the lowest absorption coefficient α < 0.05 cm-1 (at pump wavelengths 2.05 - 2.1 µm „o“- polarisation) for OPO applications. 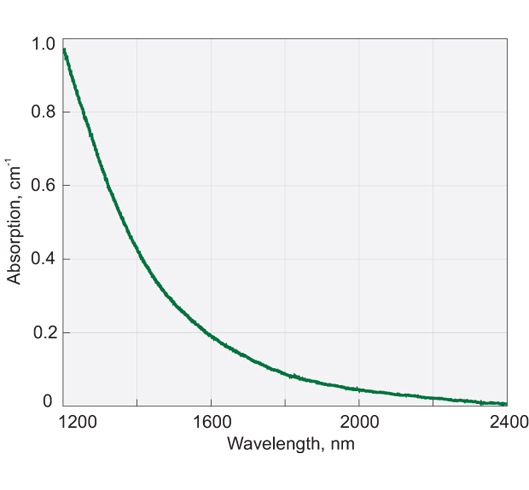 Typical absorption coefficient is <0.03 cm-1 at 2.5 - 8.2 µm range. AgGaSe2 crystals have band edges at 0.73 and 18 µm. 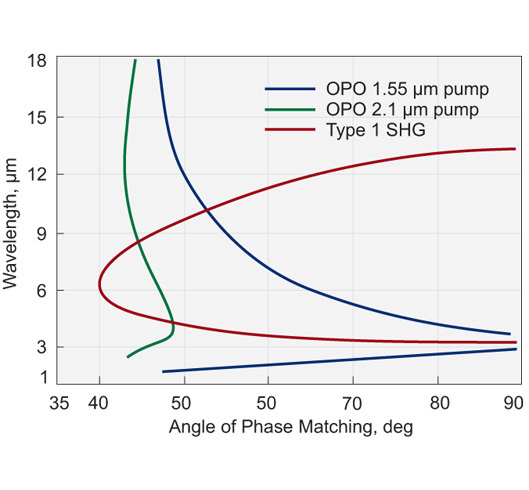 Its useful transmission range (0.9–16 µm) and wide phase matching capability provide excellent potential for OPO applications when pumped by a variety of different lasers. 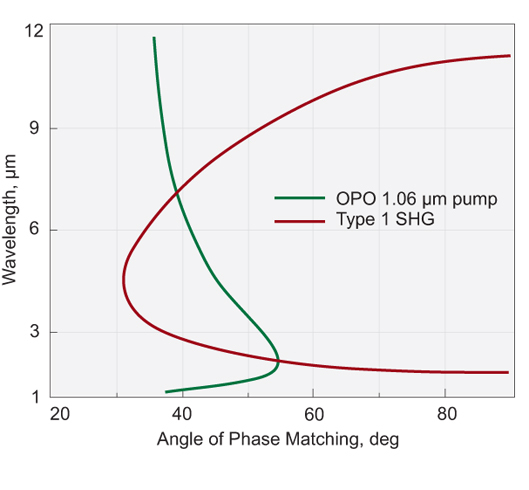 Tuning within 2.5–12 µm has been obtained when pumping by Ho:YLF laser at 2.05 µm; as well as non-critical phase matching (NCPM) operation within 1.9–5.5 µm when pumping at 1.4–1.55 µm. 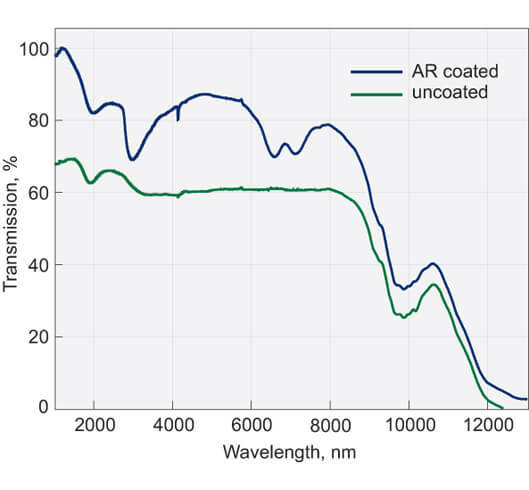 AgGaSe2 (AgGaSe) has been demonstrated to be an efficient frequency doubling crystal for infrared CO2 lasers radiation. is transparent from 0.53 to 12 µm. 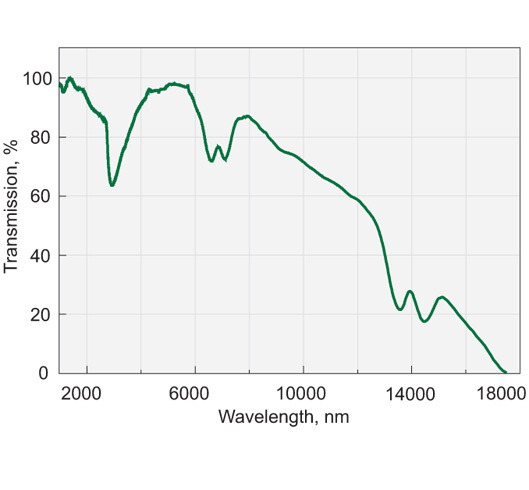 Although its nonlinear optical coefficient is the lowest among the above mentioned infrared crystals, high short wavelength transparency edging at 550 nm is made use of in OPOs pumped by Nd:YAG laser; in numerous difference frequency mixing experiments with diode, Ti:Sapphire, Nd:YAG and IR dye lasers covering 3–12 µm range; in direct infrared countermeasure systems, and for SHG of CO2 laser. 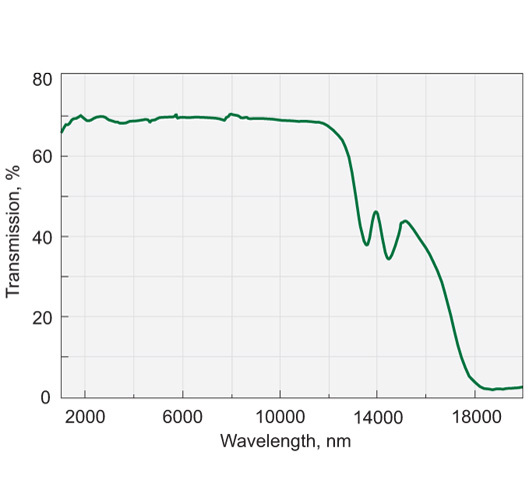 Thin AgGaS2 (AGS) crystal plates are popular for ultrashort pulse generation in mid IR range by difference frequency generation employing NIR wavelength pulses.